Officials say no one was injured after a portions of a commercial train derailed near Pembroke early Saturday morning. PEMBROKE, NC (WMBF) - Officials say no one was injured after a portions of a commercial train derailed near Pembroke early Saturday morning. According to the Pembroke Fire department, calls of a train that suddenly came to a halt on the tracks near Union Chapel Road came in around 12:30 a.m. Saturday. The Town of Pembroke fire department, under the direction and authority of Captain Dustin Marcinsky, assisted CSX personnel with investigating the tracks for damage and possible cause of the derailment. After investigation, no damage found to the tracks or any personal property. No injuries resulted from the derailment. 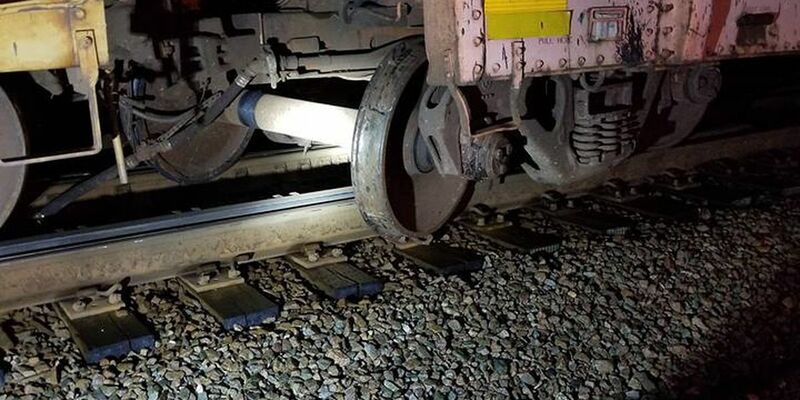 The derailment was caused due to an equipment failure on the affected railcar hauling railroad cross ties. Crews temporarily closed the portion of road near the tracks but have since reopened the stretch. The Town of Pembroke Fire Department administration and staff would like to thank CSX, Cranemasters, Robeson County Emergency Management, Pembroke Police Department officers and telecommunicators, Robeson County Telecommunicators, and Bojangles in Pembroke for their support, hard work, and relief efforts during this event.